Monday, Yahoo has confirmed the purchase of an application to facilitate the reading of information on mobile: Summly app was designed two years ago by a British teenager who is now 17 years. Nick Aloisio is 18th birthday, but he was only 15 when he created the application Summly. He lives in London, now his is in the space of a redemption of the richest teenager in the UK. Its application allows aggregating information by topic on smartphones, summarizing quickly, through to an algorithm. The start-up he mounted the same name as the application, working with News Corp. Among its investors, some American stars like Ashton Kutcher or Yoko Ono. Three employees of Summly should integrate teams of Yahoo soon. According to unnamed sources cited by the blog AllThingsD New York Times, the amount of the repurchase amount to 30 million dollars. In addition to becoming the richest teenager in England, it will also become the youngest employee of the Yahoo group. It will notably deal with mobile products. The giant will be able to develop its range of services for mobile devices. Summly application will close however, as the start-up of Nick Aloisio, a statement of the firm: Yahoo will integrate its technology under its own brand. 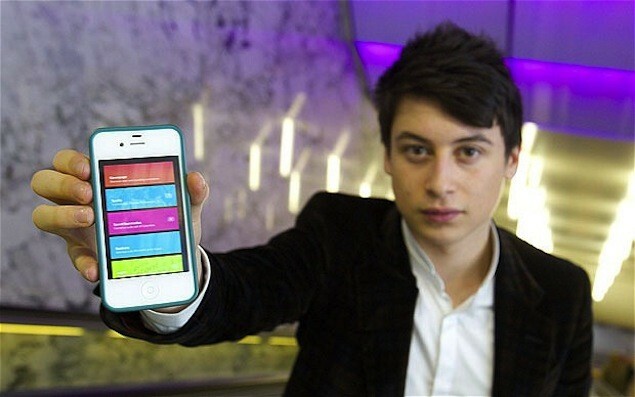 Nick Aloisio, who started coding at the age of 12 years, currently studying at King's College. He does not count to stop his studies so far: He aspires to study at the University of Oxford philosophy his favorite subject.